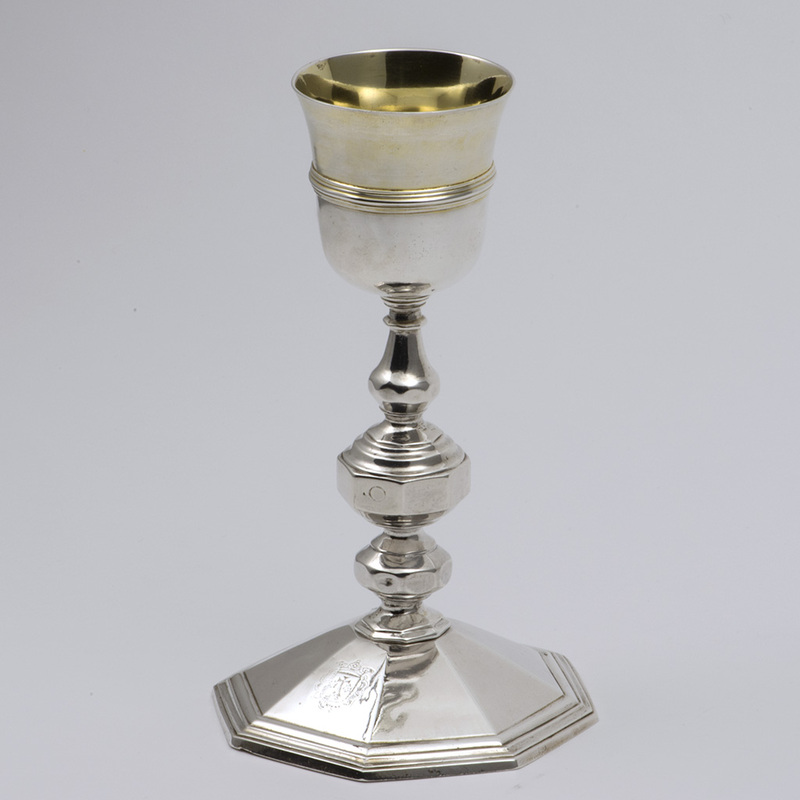 An 18th century Spanish silver Chalice [cáliz de plata]. 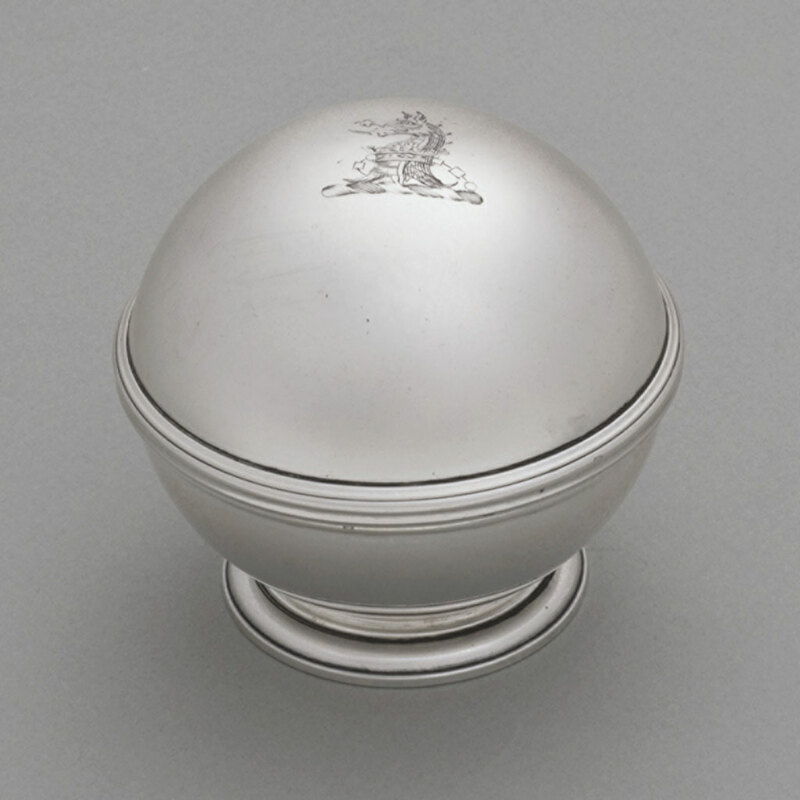 An 18th century Spanish silver Chalice from Bilbao, maker F. Urquijo, circa 1735. 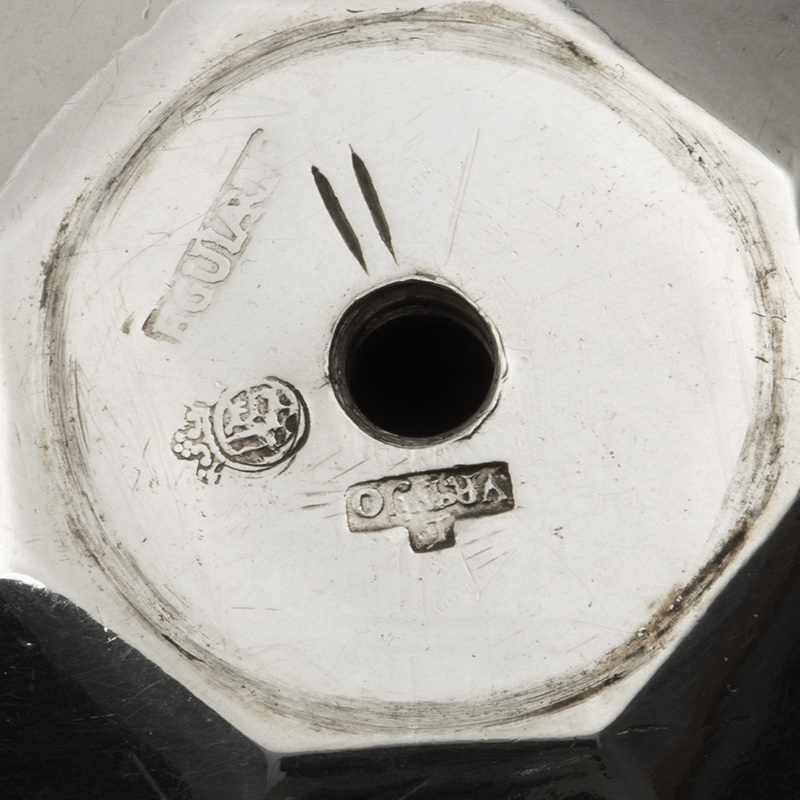 The bowl and foot unscrew from the stem. The cup is silver-gilt. An armorial is engraved on the upperside of the foot. 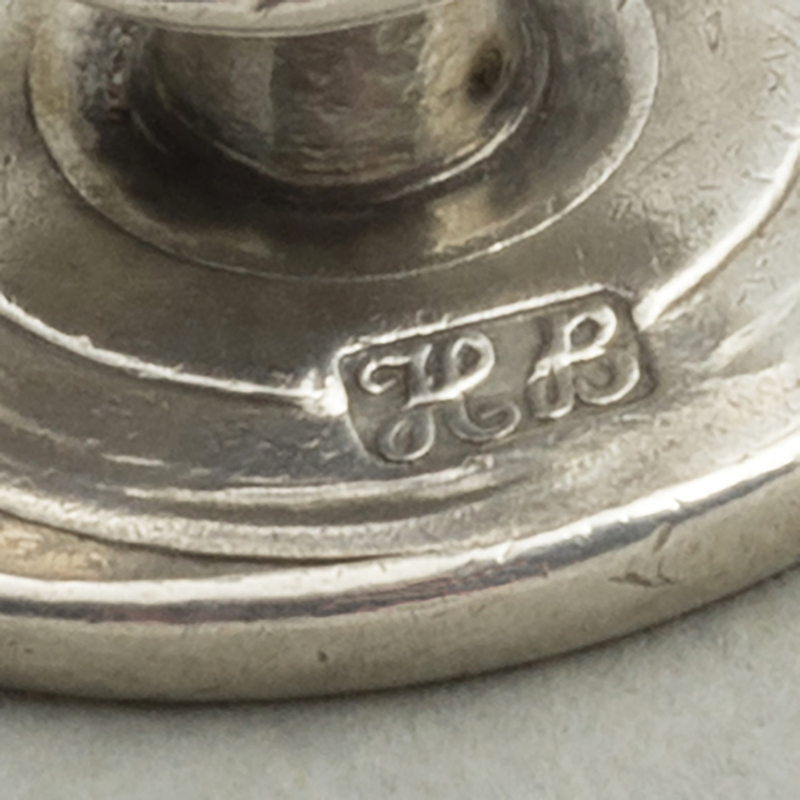 The hallmarks are struck on the upperside of the foot. 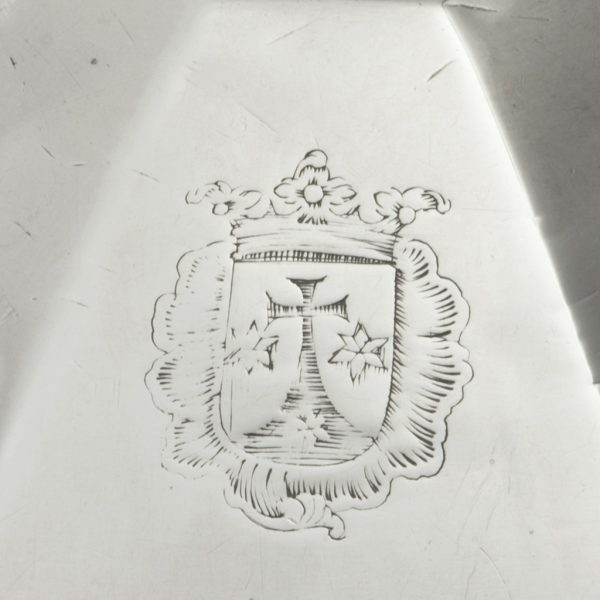 Send Enquiry for An 18th century Spanish silver Chalice [cáliz de plata]. Good overall and of good colour with a small crack on the rim of the foot, an old repair on the interior of the stem where the stem screws into the base, some minor bruising. 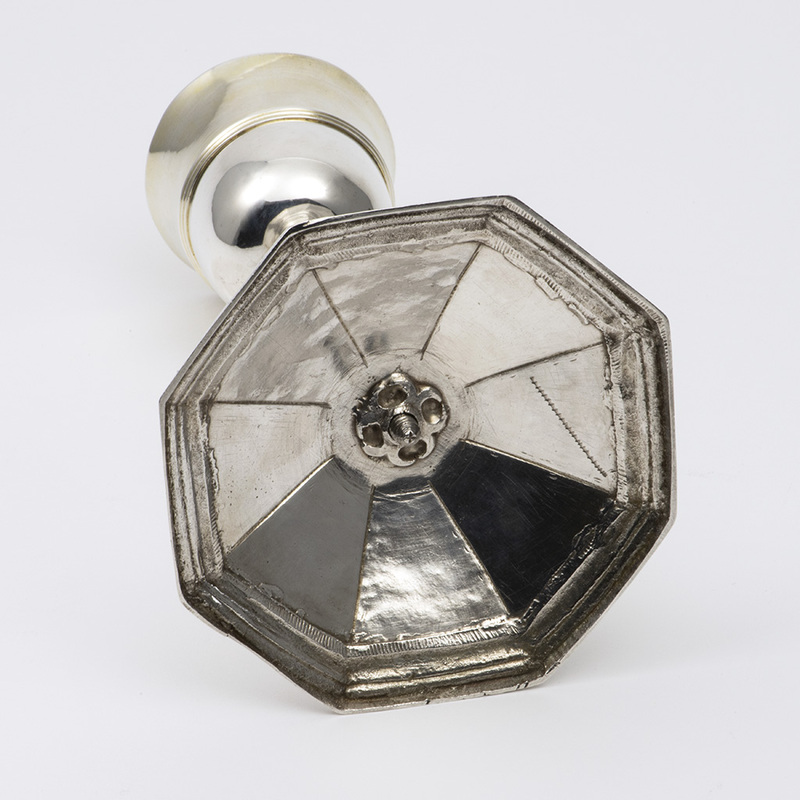 Some wear to the gilding of the cup. 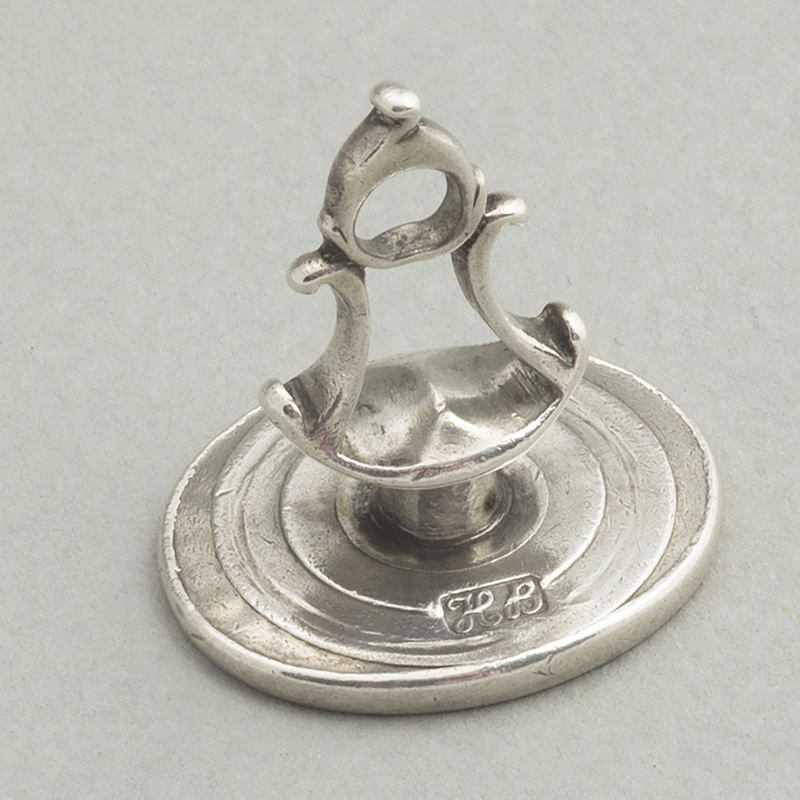 Height – 23 cm. ; Width – 14.70 cm. ; Weight 562.80 gms. 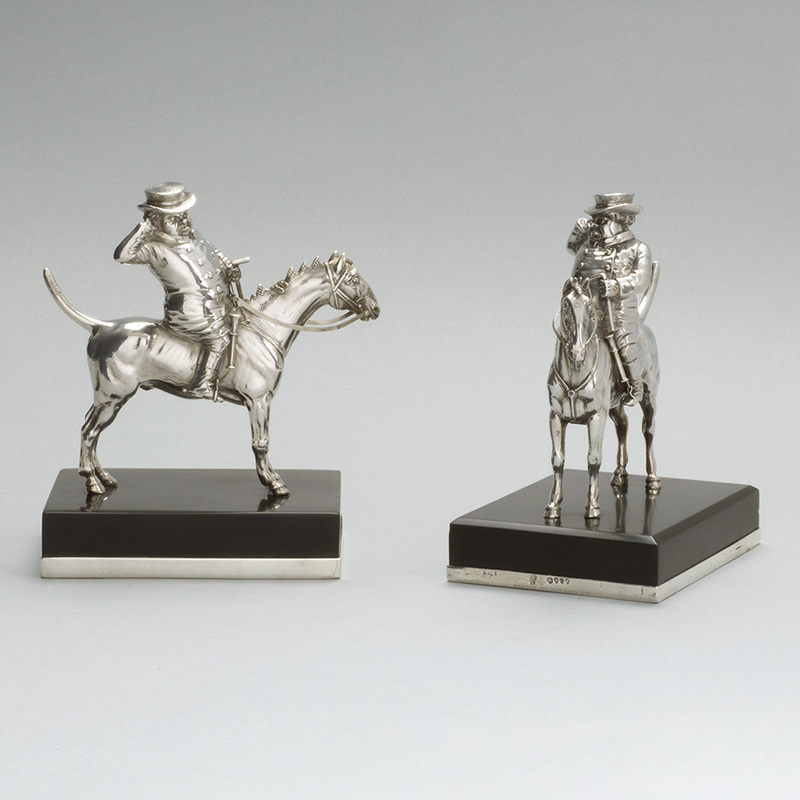 Two Victorian silver Jorrocks Paperweights. 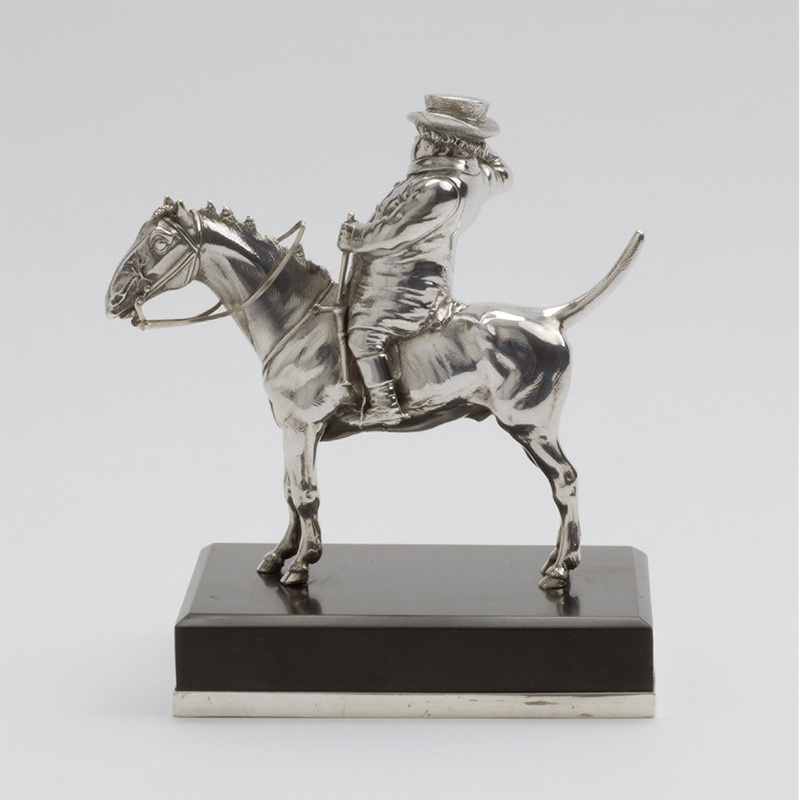 Send Enquiry for Two Victorian silver Jorrocks Paperweights. 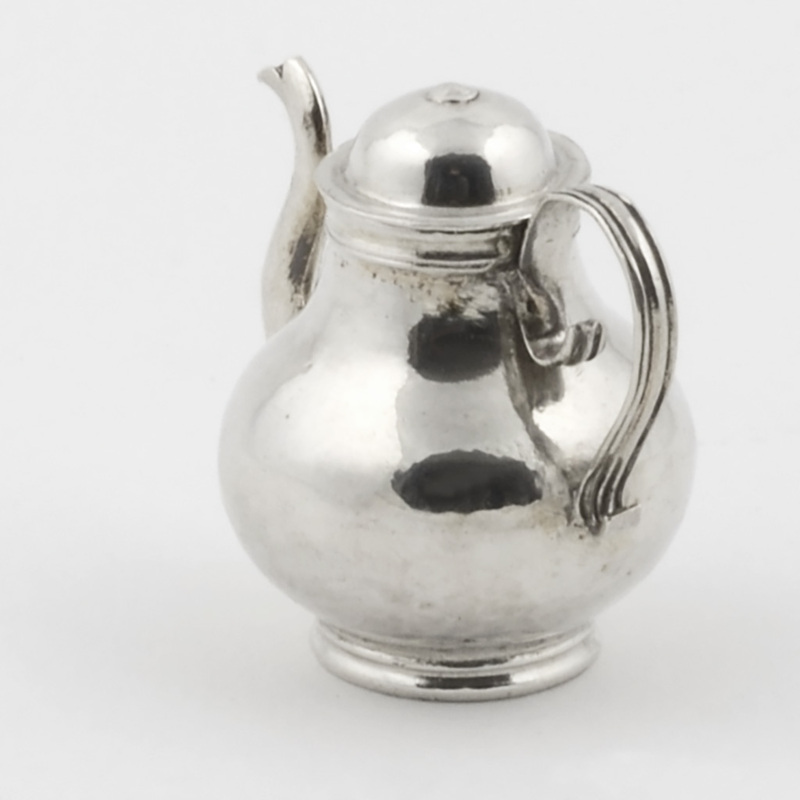 A Toy silver George I Teapot. 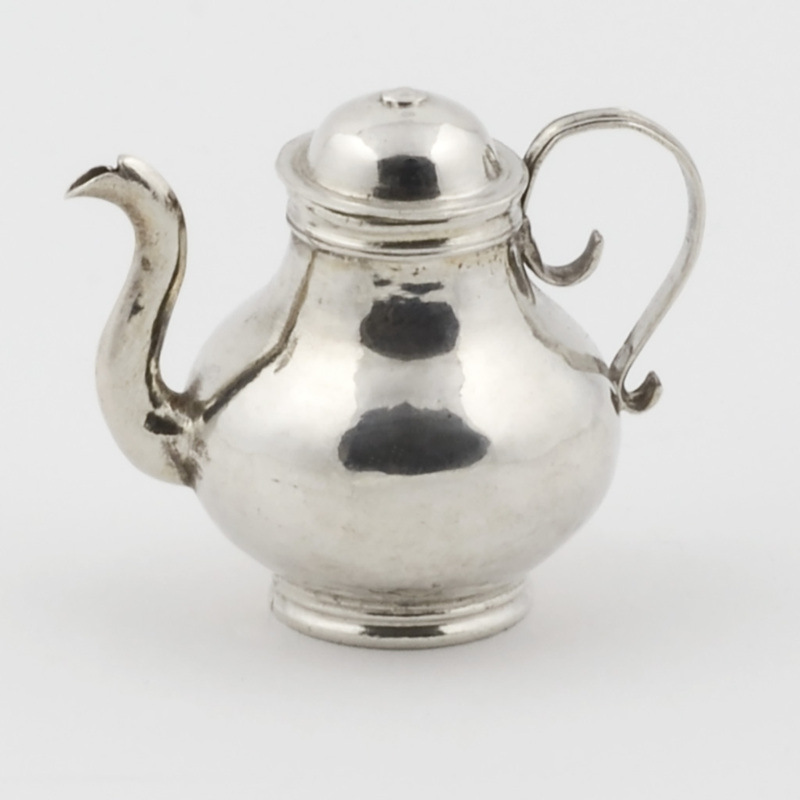 Send Enquiry for A Toy silver George I Teapot. 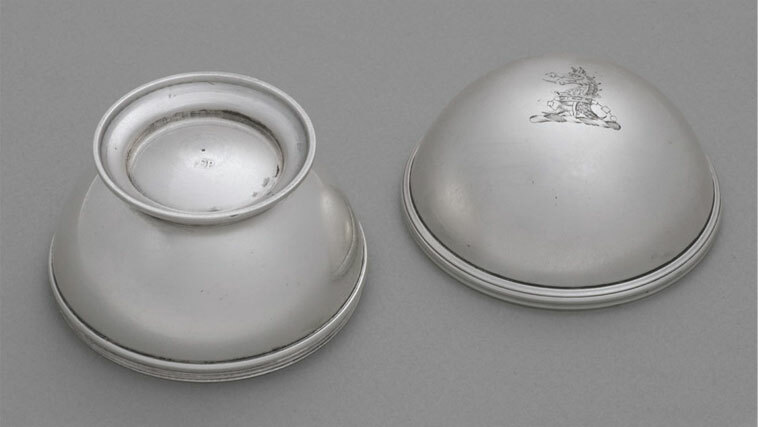 next post: A George IV ‘Pocket’ silver Communion Set.